Originally observed in honor of George Washington’s February 22 birthday, President’s Day, was first celebrated, following his death, in 1799. Appropriately dubbed “Washington’s Birthday,” the day was declared a federal holiday in the Washington D.C. area in the late 1970s. The holiday gained national recognition in 1885, and in 1971 the Uniform Monday Holiday Act renamed the celebration President’s Day. 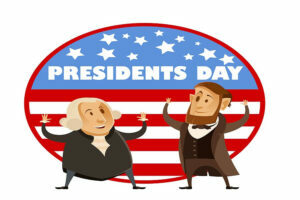 Now observed on the third Monday of February, President’s Day recognizes former presidents Washington, Lincoln, Reagan and William Henry Harrison’s birthdays. But what about the former leaders of our nation who don’t have a national holiday celebrating them? For many, there are streets, counties and state capitals named after them; but a select few will continue to give back to Americans for decades to come through the memories made on the bodies of water which bear their names. Formed by Roosevelt Dam, Theodore Roosevelt Lake encompasses 21,493 surface area-acres in Gila County, Arizona. Legislation to provide irrigation to settlements in the dry western United States prompted the dam’s construction in 1906. Since it’s completion in 1911, Roosevelt Dam, and the lake it produced, has served as water storage, flood control and produced hydroelectric power to the surrounding areas. In its original state, the completed structure reached 280 feet tall and 723 feet long; however, after extensive safety repairs made from 1989 to 1996, Roosevelt Dam stands today at 357 feet tall and 1,210 feet long, making it the highest masonry dam in the world. Theodore Roosevelt Lake, also referred to as Roosevelt Lake and Lake Roosevelt reaches maximum depths of 349 feet and runs along 128 miles of shoreline. In it’s rich history, Roosevelt Dam has received (and lost) a National Historic Landmarks designation and the lake was, for a time, the world’s largest man-made body of water, containing more than million acre-feet of water. Today, the reservoir is a popular fishing spot offering anglers populations of carp, sunfish, channel and flathead catfish, and large and smallmouth bass. Formerly Lake Granite Shoals, Lake LBJ is located near Austin, Texas and serves as a hydroelectric power producer and coolant for the Thomas Ferguson Power Plant. Construction began on what was once the Granite Shoals Dam in 1949. It was completed in 1951, and in 1952 the structure was renamed Wirtz Dam after Alvin J. Wirtz, the man largely responsible for creation the LCRA, the organization that runs the power plant the lake now cools. Thirteen years later, Lake Granite Shoals was renamed Lake Lyndon B. Johnson for the former president’s advocacy of the LCRA. 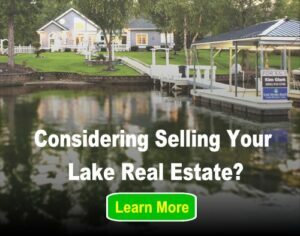 Lake LBJ welcomes a number of lake activities, including boating, fishing and jet skiing. The lake also hosts an annual 4th of July festival, complete with fireworks, parades and a poker run! The reservoir covers more than 6,000 acres and reaches 90 feet at its deepest point. Though she wasn’t a president, Claudia Alta “Lady Bird” Johnson, is an icon in American history. 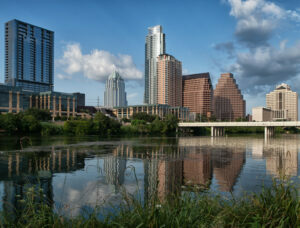 Lady Bird Lake, which more closely resembles a river, spans more than 400 acres in downtown Austin, Texas. The reservoir, formed by Longhorn Dam, was named Town Lake until the former First Lady’s death in 2007, at which time it was renamed for her service on the Town Lake Beautification Committee. Popular activities enjoyed on Lady Bird Lake include sailing, biking, paddleboarding and canoeing. Lastly, we cannot have a President’s Day Special without at least mentioning Hoover Dam. Named for the 31st president, Herbert Hoover, Hoover Dam is located near Las Vegas, Nevada and attracts more than seven million visitors from around the world each year. Ground broke on the massive structure in 1931, and over the course of the next four years, more than 20,000 people worked on the project. The Dam’s construction cost $49 million by its completion in 1935, an amount that would exceed $800 million today. Hoover Dam primarily serves as a hydroelectric power producer, generating approximately four billion kilowatts of energy annually and providing power to more than 1.3 million homes across the Southwest. The Dam is also responsible for the creation of Lake Mead, one of the world’s largest man-made lakes and the largest reservoir in the U.S.
Lake Mead encompasses nearly 250 square miles of surface area and reaches depths of 590 feet, according to one USA Today article. Each year, more than 10 million visitors flock to Lake Mead to fish, ski, swim and boat along the body of water’s more than 500 miles of shoreline.